WOW, IT IS LOVE AT FIRST SIGHT!! 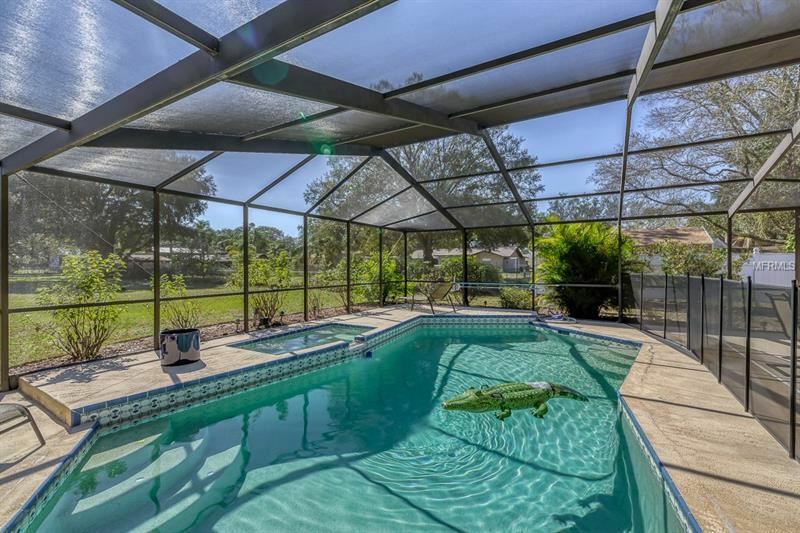 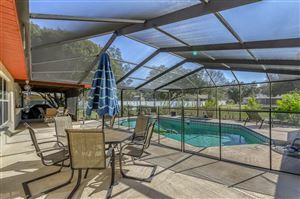 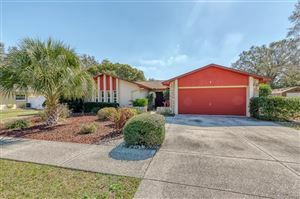 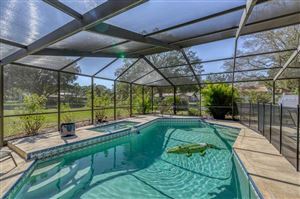 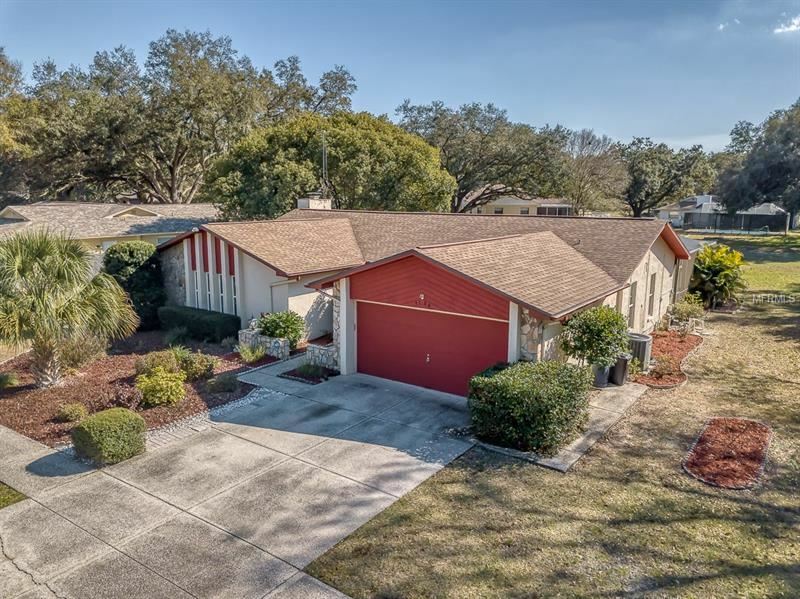 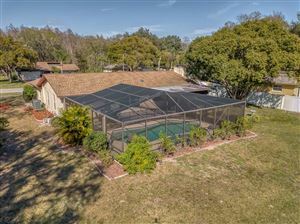 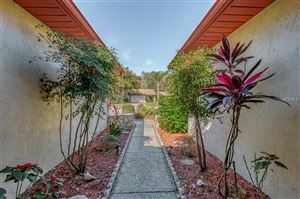 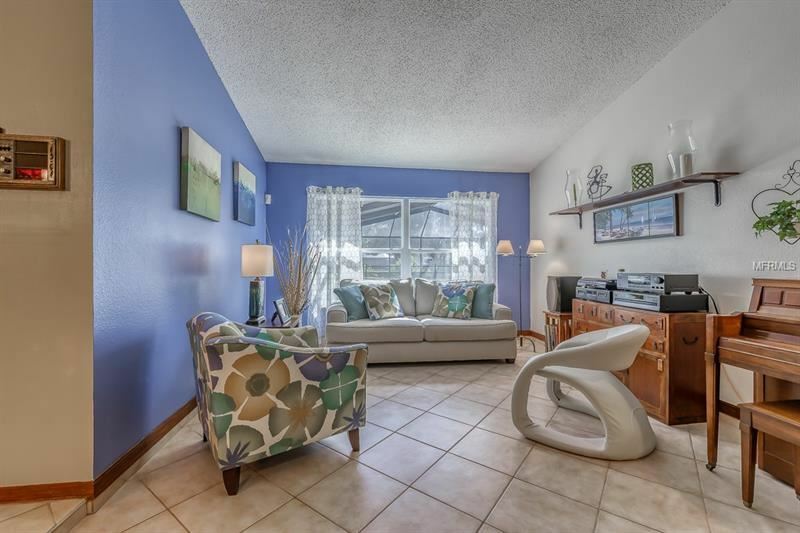 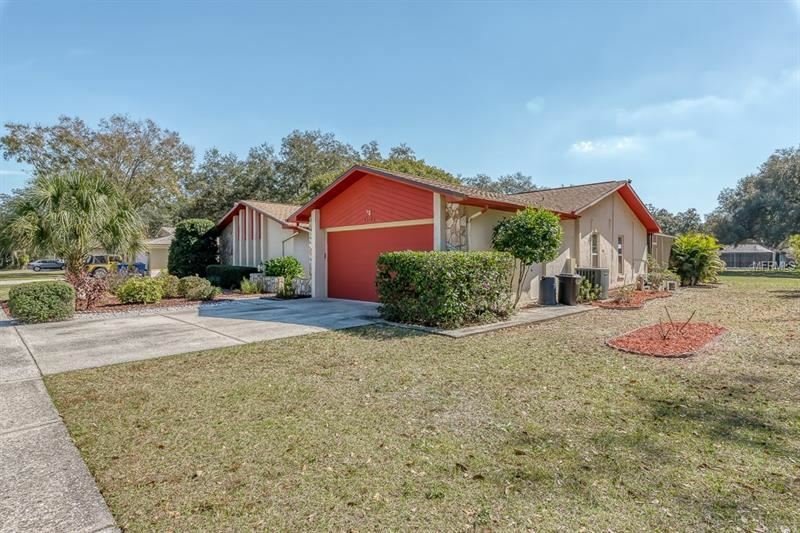 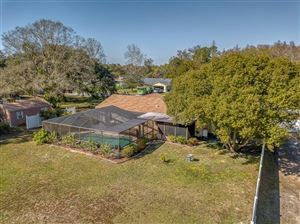 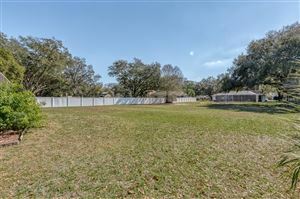 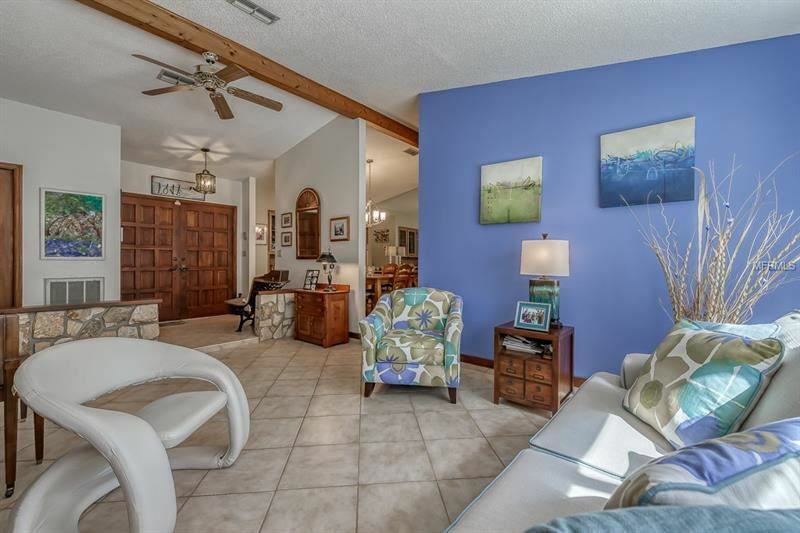 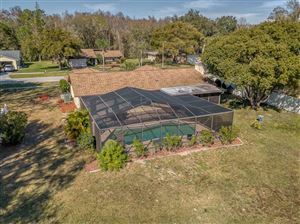 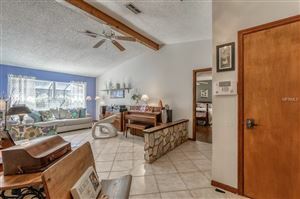 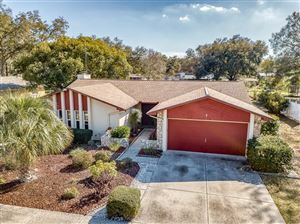 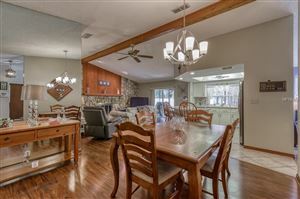 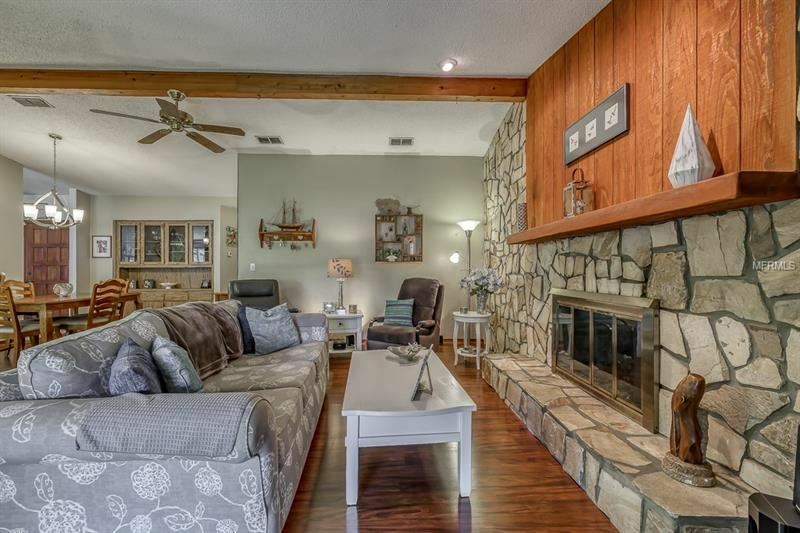 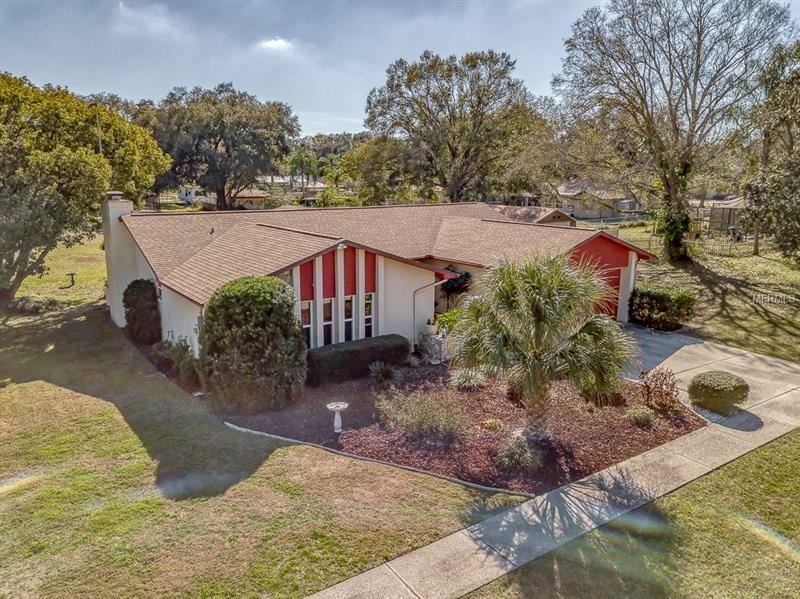 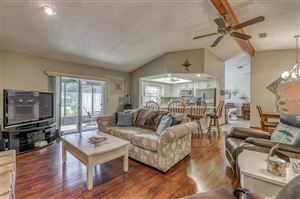 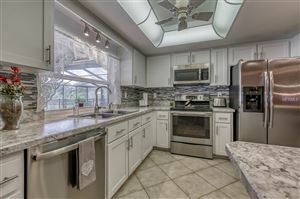 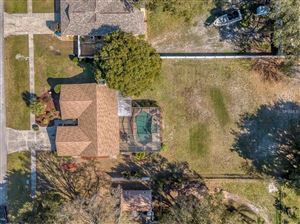 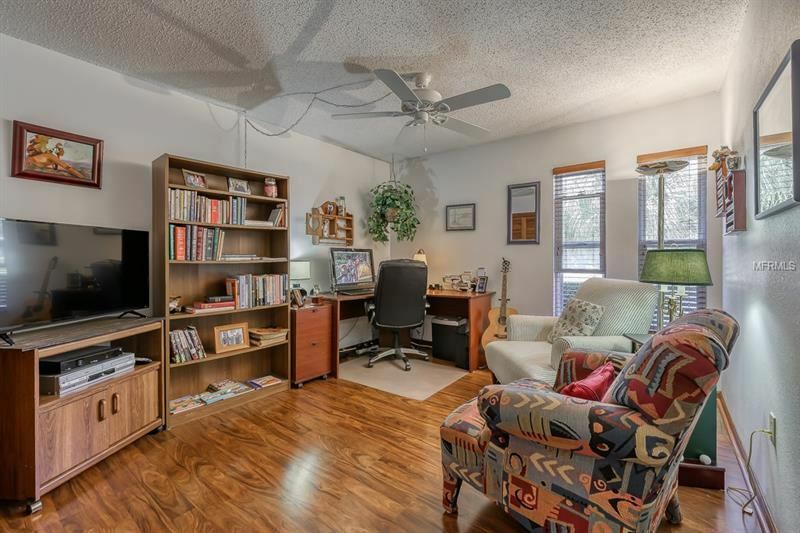 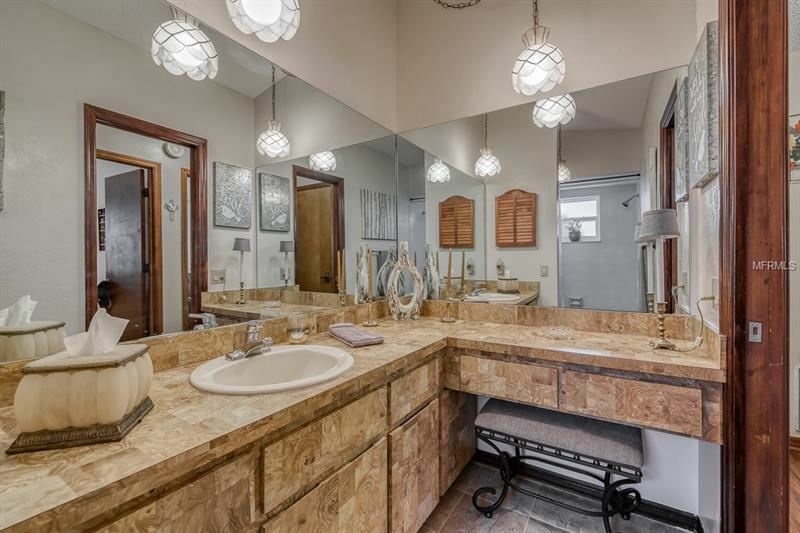 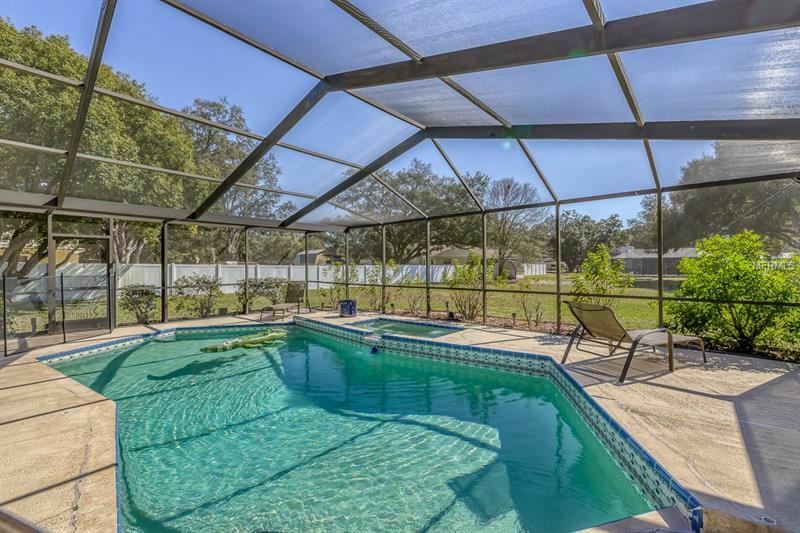 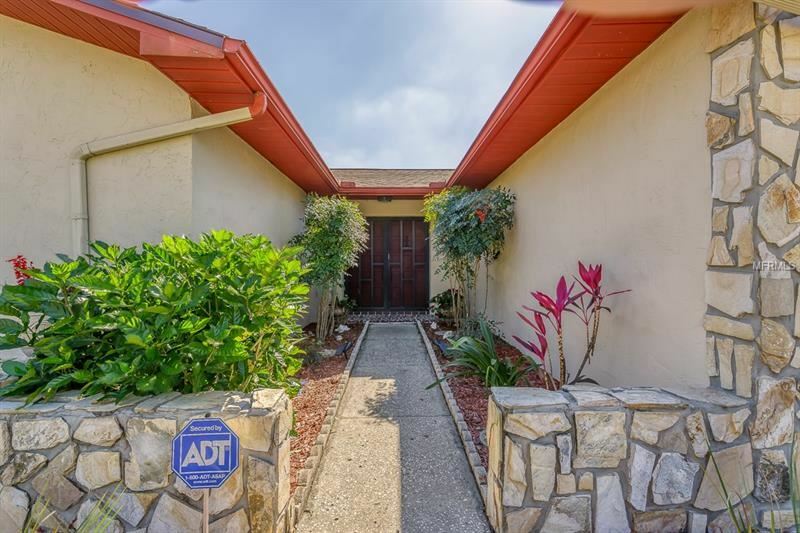 IN PRISTINE CONDITION THIS 3/2/2 POOL HOME ON 1/2 ACRE LOT IN THE TRINITY AREA HAS SO MUCH APPEAL! OPEN THE FRONT DOOR AND THE VIEW HITS YOU, THE SUNKEN FORMAL LIVING ROOM HAS A WALL OF GLASS SLIDERS OVERLOOKING THE COVERED PATIO, THE HUGE SCREENED POOL & DECK,THE SPILL OVER SPA, RIGHT OUT TO THE SPACIOUS GREEN OF THE 1/2 ACRE LOT! 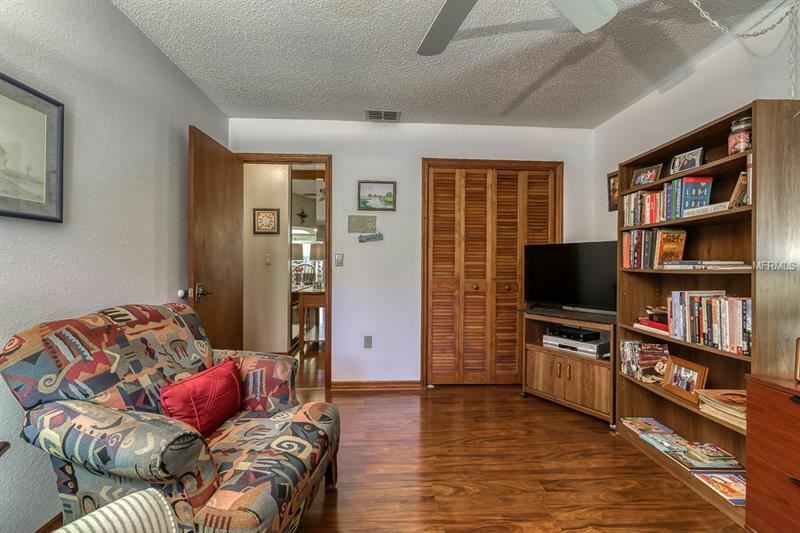 YOU WILL BE SOLD! 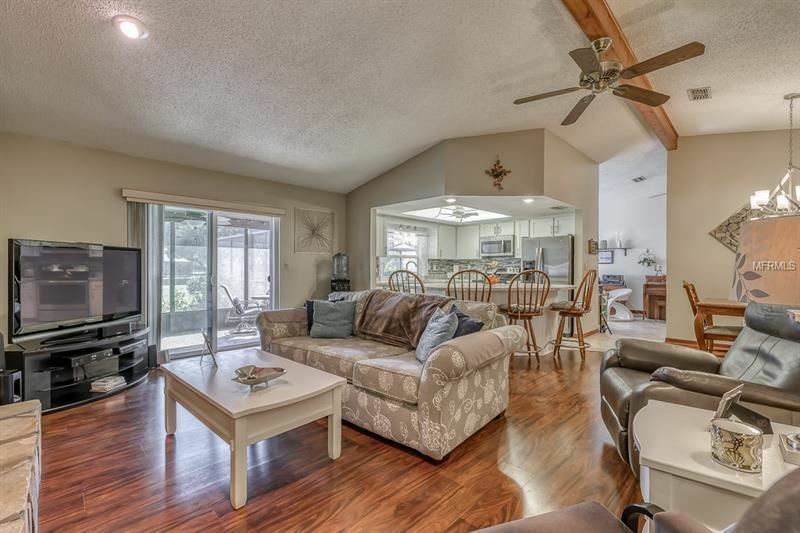 THE BEAMED CATHEDRAL CEILINGS SOAR OVER MOST ROOMS WITH UPGRADED EASY CARE LAMINATE & CERAMIC FLOORING. 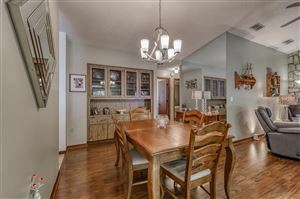 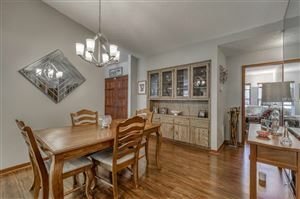 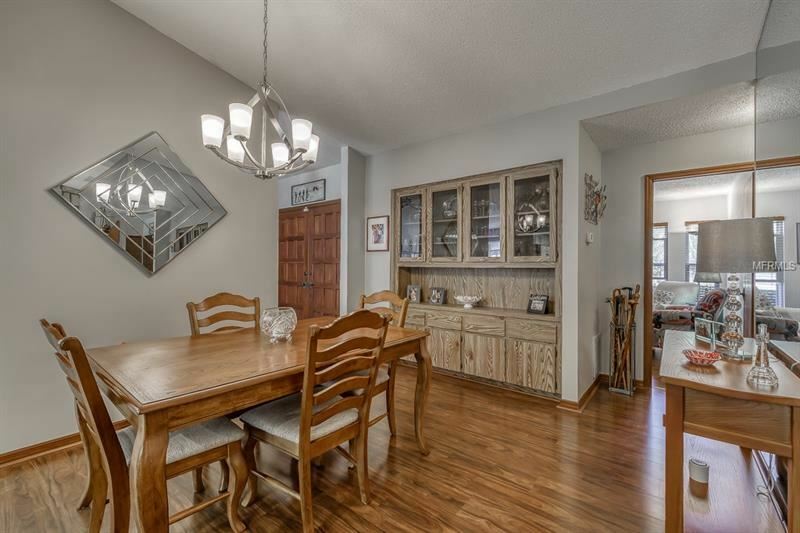 THERE IS ROOM IN THE FORMAL DINING ROOM TO EXPAND A TABLE WITH PLENTY OF SPACE FOR ALL YOUR FAMILY & FRIENDS! 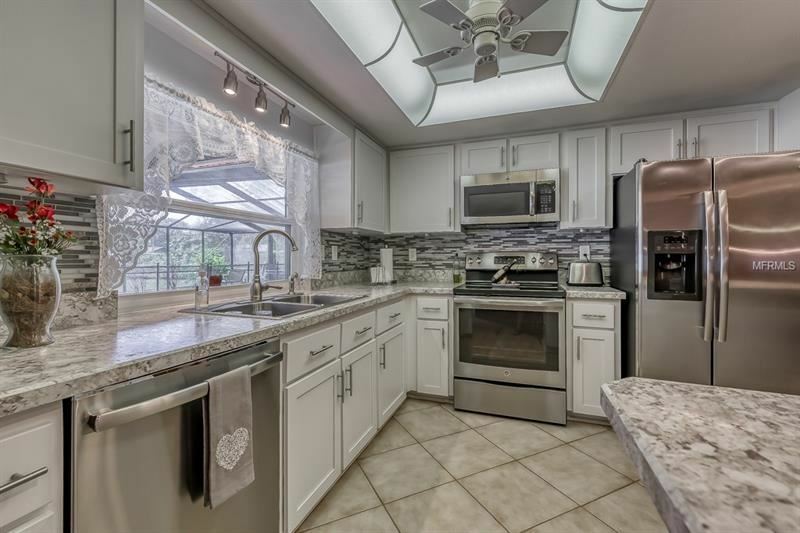 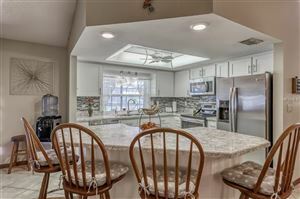 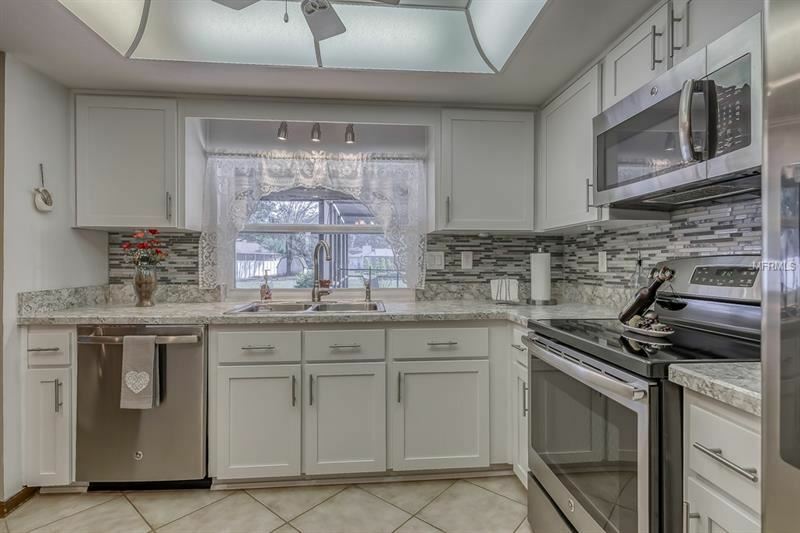 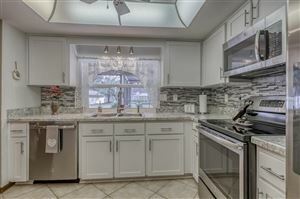 THERE ARE LOADS OF NEW CABINETS IN THIS GORGEOUS KITCHEN APPOINTED WITH GLASS TILE BACK SPLASH AND GLEAMING STAINLESS APPLIANCES! 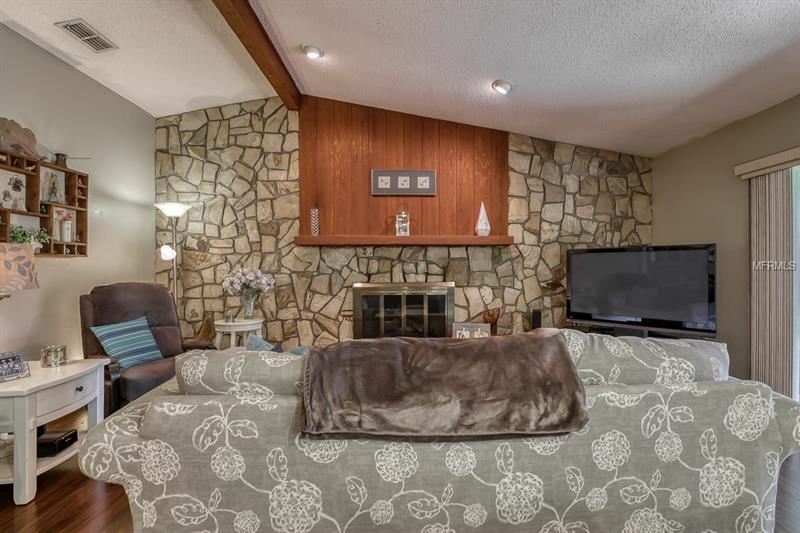 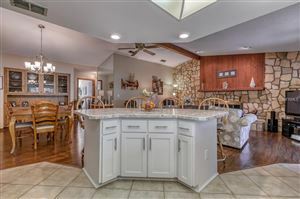 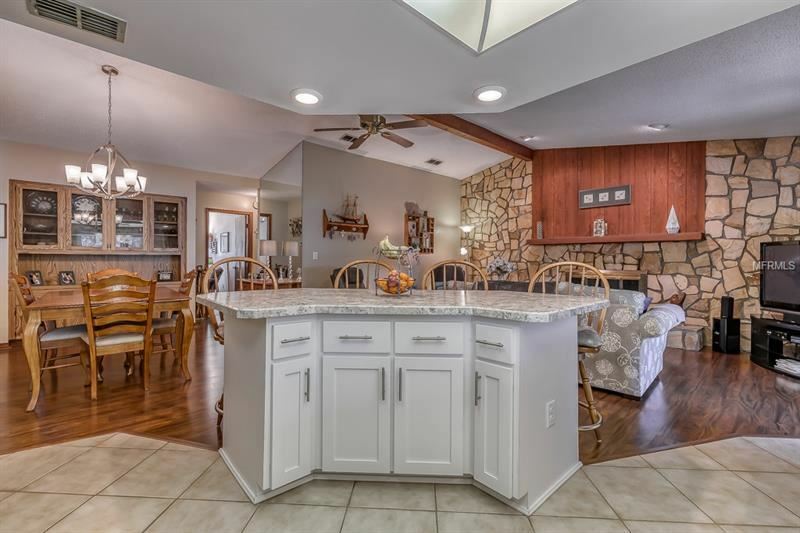 THE HANDY ISLAND COUNTER BAR WOULD MAKE A GREAT BUFFET WHEN ENTERTAINING; IT OPENS TO THE FORMAL DINING ROOM AND THE FAMILY ROOM FEATURING A STONED GAS FIREPLACE! 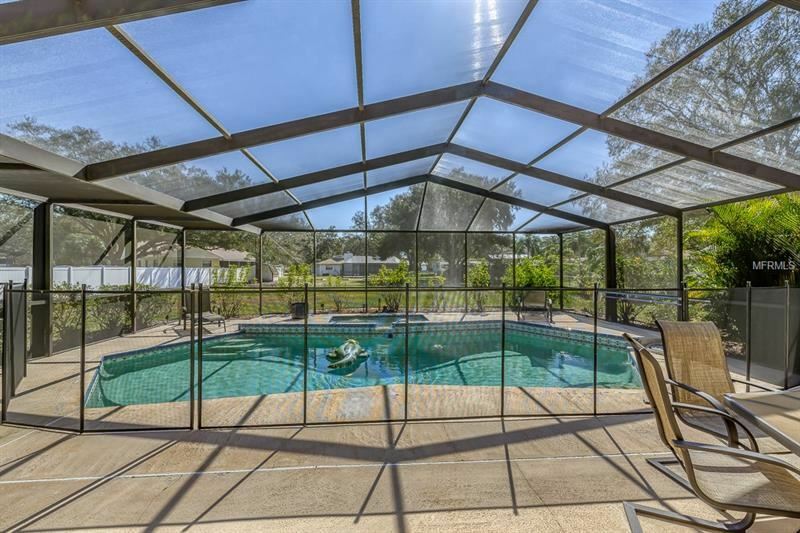 A WALL OF SLIDERS OPENS OUT TO THE GLORIOUS POOL AREA! A REAL PARTY FLOOR PLAN ARRANGEMENT! 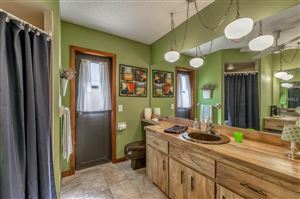 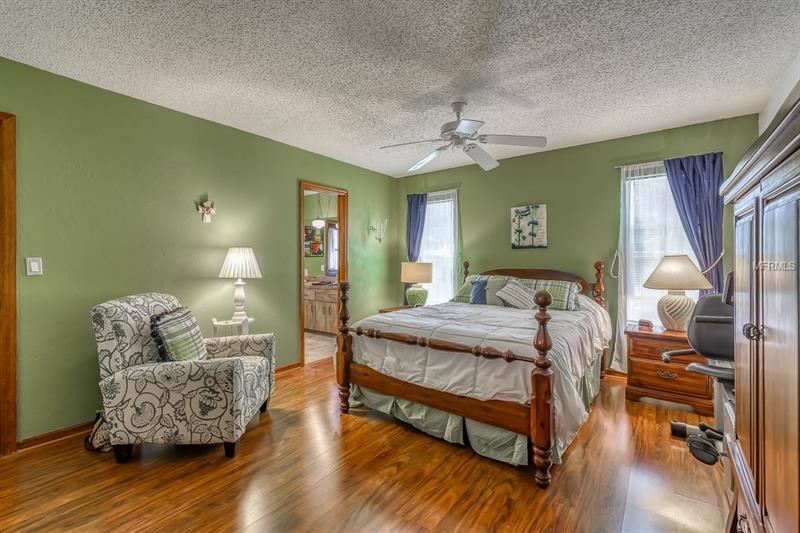 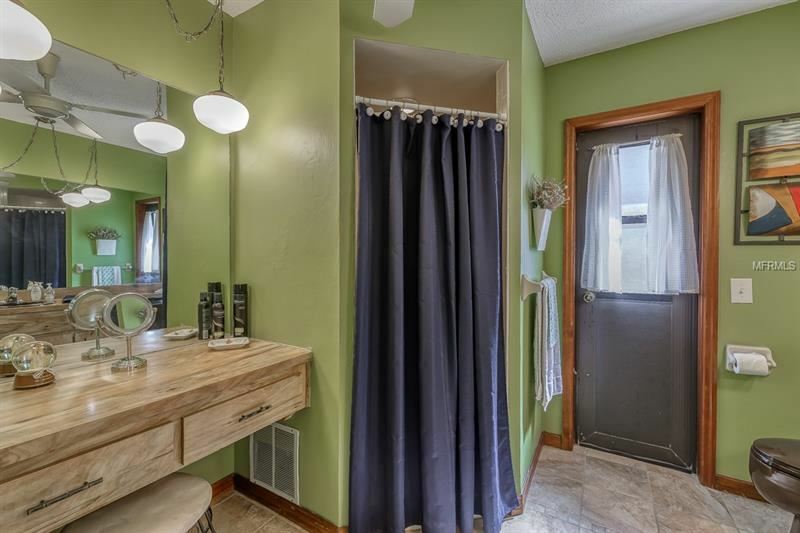 THE SPLIT PLAN GIVES PRIVACY TO THE BIG MASTER SUITE A GENEROUS WALK IN CLOSET & THE MASTER BATH OPENS TO THE POOL. 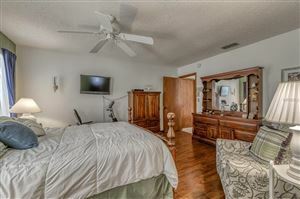 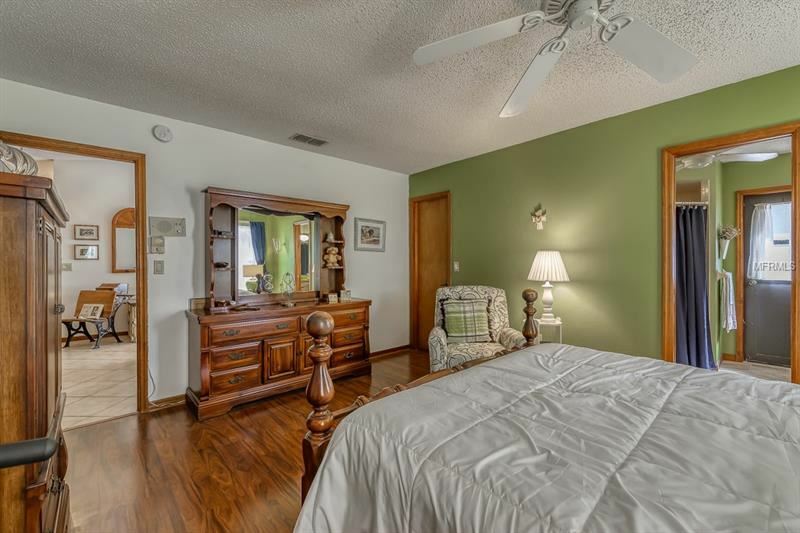 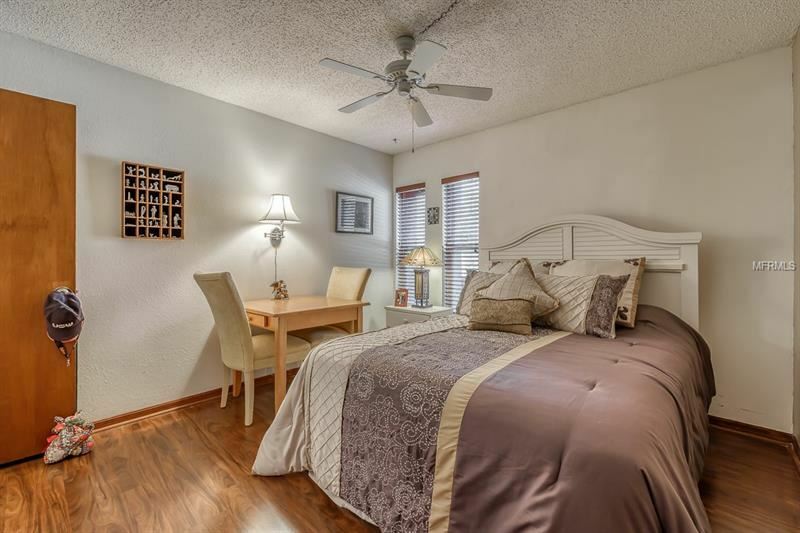 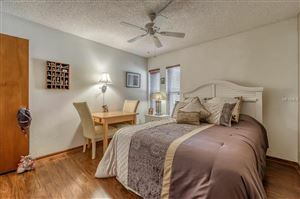 BEDROOMS 2 & 3 ARE A GOOD SIZE WITH PLENTY OF CLOSET SPACE! 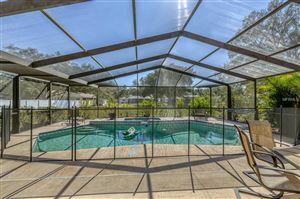 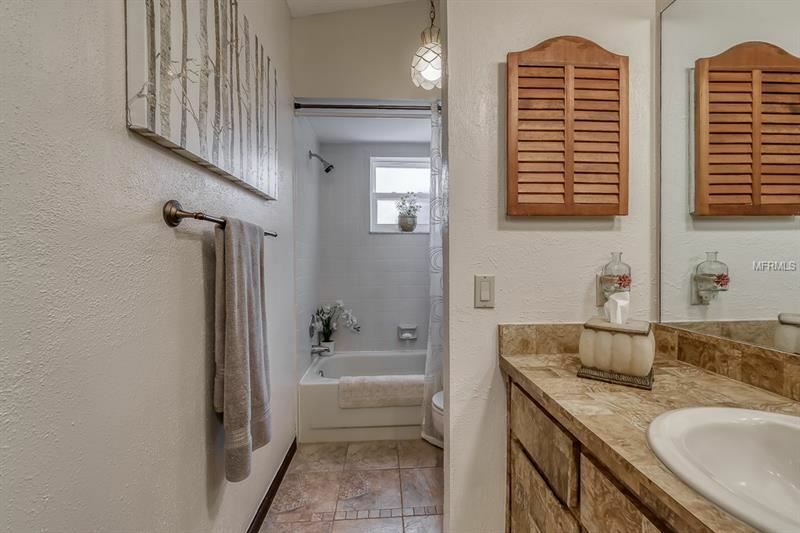 THE SELLER REPLACED THE WINDOWS, REPLACED BOTH THE ROOF & HVAC IN 2014, THE POOL MOTOR & ALL THE POOL SCREENS WERE REPLACED NOTHING HAS BEEN OVERLOOKED! 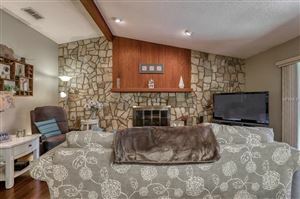 THIS IS TRULY A RARE FIND A HOME IN THIS SHAPE, IN THIS LOCATION AT THIS PRICE! 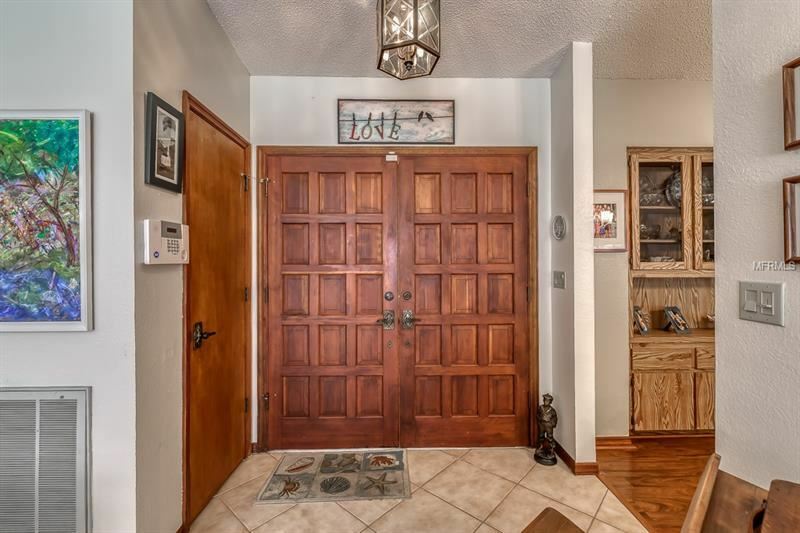 PICK UP THAT PHONE! HESITATE.....AND YOU WILL BE TOO LATE! The approximate monthly Principal & Interest payment for this property would be $1,175. This payment is based on a 30-year loan at a fixed rate of 4.12 % with a down payment of $25,490. Actual lender interest rates and loan programs may vary.